Gearbest’s Bumper Harvest sale — There’s ONE item you shouldn’t miss…! This 360 camera is the surprise hit of the first half of 2017, now almost universally recognized as the best 360 camera for consumers for $300 or less because of its image quality and image stabilization, at a very affordable price. This small but full featured drone will now have a Sphere mode to automatically capture 360 photos! 3. 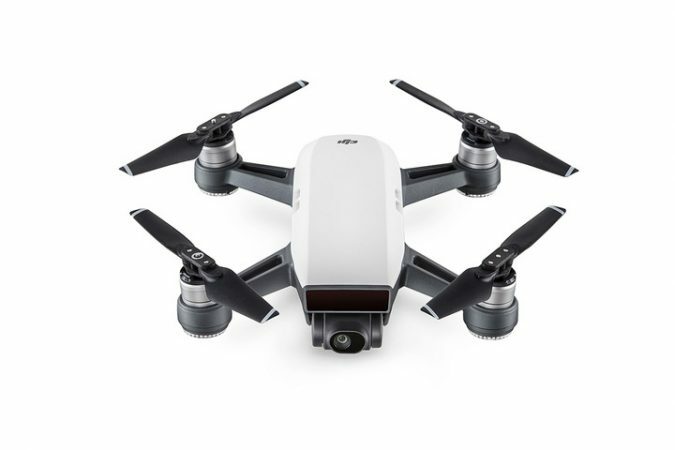 DJI Spark Fly More bundle. Regularly $754 now just $630. 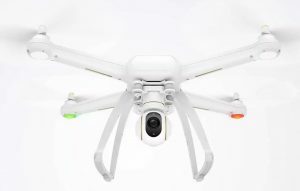 Coupon code: DJISparkB (only 20 units at this price). This bundle adds extra batteries, chargers, propellers, a case, and other accessories. 4. DJI Spark waterproof carrying case: $17.99. No code needed. 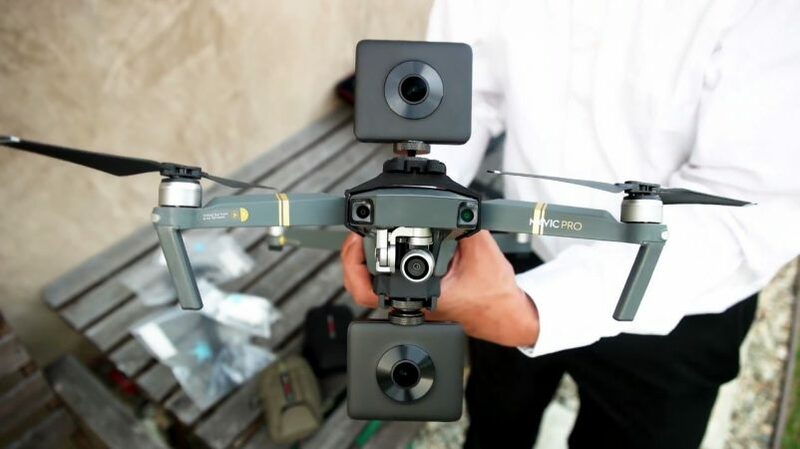 Besides being a highly acclaimed drone, the popular Mavic Pro can be outfitted with camera mounts above and below it, which can render the Mavic Pro “invisible” in a 360 video! 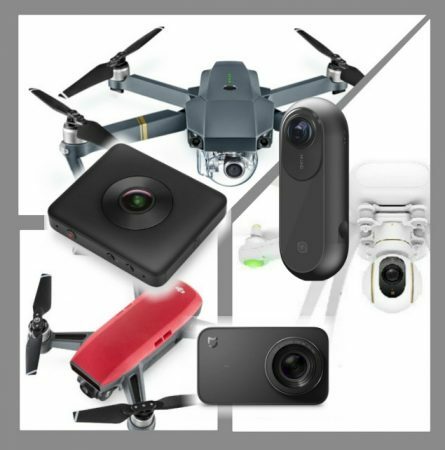 If you want to take aerial 360 photos and videos but want a more affordable drone, the Xiaomi is a great option. It’s not only affordable but also full featured. It has nearly all features of DJI drones, except the range is limited to around 2 km, whereas DJI Mavic can go as far as 7 km. This is one of the most affordable yet high quality 3-axis gimbal for smartphones. Danydanfree has an adapter to enable it to be used for some lighter 360 cameras. 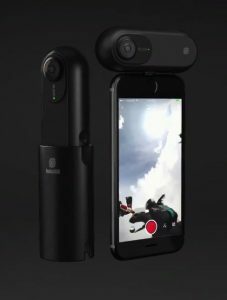 This is a recently launched 4K action camera from the makers of the Xiaomi Mijia Mi Sphere. The Mini action camera has true 4K video (not interpolated), and it’s one of the most affordable true 4K cameras. Its field of view is similar to a GoPro Hero4, so it might be usable for a rig, but I haven’t seen a rig designed for it yet. 10. And last but by no means least, Insta360 ONE! Yes, GearBest will have it (I persuaded them to carry it!). And for their Bumper Harvest, the ONE will be on sale very soon (probably by this week). I don’t know the price yet, but the preliminary price shown to me is significantly better than Amazon or B&H Photo, and as you know, GearBest ships to 260+ countries all over the world. Just stay tuned — I will post the deal when it becomes live! Hi Spillo. Yes it’s true but you probably should wait for Android because I don’t know if the adapter will be available right away. It might initially be available only together with a camera. Please notify when sale for Insta360 ONE comes online. Thanks! Yes absolutely. I’m pushing Gearbest to make the sale available asap!